The man who gave the world Halloween once told an interviewer: "If I had three wishes, one of them would be 'Send me back to the 1940's and the studio system and let me direct movies.' Because I would have been happiest there. I have much more of a kinship for older-style films, and very few films that are made now interest me at all." 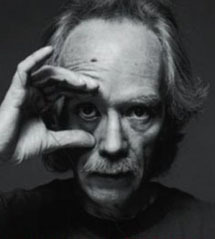 John Howard Carpenter was born in Carthage, New York in 1948. He moved to the deep south at an early age and grew up fascinated by the films of John Ford and Howard Hawks. The future director later attended the School of Cinematic Arts at the University of Southern California, where he graduated in 1971. His directorial debut was Dark Star (1974), a tribute to the 1950s science fiction and westerns movies that inspired him, such as Buck Rogers and 2001: A Space Odyssey. Dark Star was a satire about four bored astronauts with a mission to destroy unstable planets. It had a budget of $60,000 and was a promising start. But it was 1976's Assault on Precinct 13 that really seemed to bring out the best in Carpenter. The premise was the siege of a nearly deserted Los Angeles police station by a youth war gang. It remains an extremely effective, well-regarded suspense film. In 1978, he helmed the superb television thriller Someone's Watching Me! starring Lauren Hutton and Adrienne Barbeau. The story: a single working woman discovers she is being stalked by an anonymous psycho who's spying on her from an adjacent high rise apartment complex. Also known as High Rise, this one is an unsung little powerhouse that serves as a respectable homage Hitchcock's Rear Window. Of course, Carpenter will always be singularly associated with Halloween (1978), the definitive horror film of modern times and the entry that gave direct birth to the slasher craze of the late '70s and early '80s. The picture was made on a shoestring budget of $320,000...and Carpenter also composed the score, as he had done two years before with Precinct 13. But unlike his previous feature, Halloween was a bonafide home run, bringing in over $65 million during its initial release. Also in 1978, he co-wrote The Eyes of Laura Mars, an exciting, glossy thriller with slasher overtones starring Faye Dunaway and Tommy Lee Jones. Two years later, Carpenter filmed the spirited ghost retribution story The Fog, again starring Jamie Lee Curtis and with a small role for her mom Janet Leigh. While he didn't helm Halloween II (1981), he produced what turned out to be a very good sequel. Rumor has it that Carpenter inserted additional gore footage in post-production over the objections of director Rick Rosenthal. Carpenter kept busy in 1981 filming the action sci-fi adventure Escape from New York. This was his second collaboration with Kurt Russell - the first had been the 1979 television biopic Elvis. In 1982, Carpenter made a remake of Howard Hawks' The Thing From Another World (1951), this time known simply as The Thing. Actor Russell was on board yet again for the special effects extravaganza (the effects were courtesy of RobBottin and Stan Winston). Critic Roger Ebert described The Thing as a "a great barf-bag movie," virtually cementing its reputation as a viscerally fun terror ride, regardless of the diminishing box office returns. Carpenter's 1983 output was a very good adaptation of the Stephen King novel Christine. A few years later, he directed two lesser flicks, 1987's Prince of Darkness and They Live (1988). He continues to work steadily in the genre.